Recent Case Demonstrates Potential Perils for Subcontractors Under the Mechanics Lien Act - Seymour & Associates, S.C. Imagine the frustration of having a set of strict statutory requirements for a cause of action, meeting those strict requirements, but still failing in the underlying cause of action. Such a frustrating result is entirely possible under the provisions of the Mechanics Lien Act1 (the Act) and the case law interpreting the Act. The recent Second District Appellate Court opinion in Doors Acquisition, LLC v. Rockford Structures Construction Company2 provides a classic example of how a mechanics lien claimant can fully comply with the provisions of the Act but still have its mechanics lien foreclosure action fall short. This article will examine the holding in Doors Acquisition and provide advice for practitioners and mechanics lien claimants seeking to avoid the unfortunate result of Doors Acquisition. In November of 2007, Rockford Structures terminated D&P. At the time D&P was terminated, D&P owed the Union $6,591.30 for wages and $17,003.98 for benefits. The unpaid wages and benefits were for work performed from August 2007 through November 9, 2007. On January 10, 2008, Rockford Structures provided a sworn statement to Weitzel stating that D&P had been paid in full for the work that it performed and that D&P’s work on the project was complete. On March 6, 2008, the Union filed its mechanics lien in the amount of $23,595.28. The lien was served on Weitzel, Rockford Structures, and D&P. When notice of the lien was received by Weitzel, he was unaware that D&P had failed to pay the Union for its wages and benefits. The opinion does not say when Weitzel received notice of the lien. We are left to assume that the notice was sent within 90 days of November 9, 2007, because if it was sent any later than that, the lien would have been defective for failing to comply with section 24 of the Act. The circuit court ruled that the Union had a valid lien and ordered Weitzel to pay the Union or the sheriff would execute a judgment of foreclosure. The order included final and appealable language, and Weitzel appealed. The only issue on appeal was whether the lien was valid. Weitzel argued that the lien was invalid because the Union could only recover the amount owed to its immediate contractor,D&P, and that D&P had been paid in full when he received notice of the Union’s lien. The Union argued that its lien was valid because, when Weitzel received notice of the Union’s lien, Weitzel owed Rockford Structures money for work performed. The appellate court began its analysis by examining sections 5, 21, 24, and 27 of the Act. Section 5 of the Act8 provides that prior to any funds being paid to a general contractor, the general contractor shall provide the owner with a sworn statement of the names and addresses of all subcontractors involved in the project and the amount due or to become due each. Section 219 provides that subcontractors shall have a lien for the value of the services that they provide to the project and on the funds due or to become due from the owner under the original contract. Section 2410 provides that at any time after starting work on the project and within 90 days of completing its work, subcontractors must send notice of their claim for lien. Such notice must be sent to the owner and any lender with an interest in the property being improved.11 Finally, section 2712 provides that when an owner has notice of a subcontractor’s lien claim, he shall retain sufficient funds due or to become due to the contractor to pay the demands of the subcontractor. The appellate court then looked to Weather-Tite, Inc. v. University of St. Francis, 223 Ill. 2d 385 (2009) for an example of how the foregoing provisions of the Act work in every day practice. In Weather-Tite the defendant, a university, hired a general contractor to renovate a residence hall. The general contractor hired a subcontractor, Excel, to perform electrical work. On five occasions the general contractor requested a payment from the owner and submitted a sworn statement pursuant to section 5 of the Act with each request. Each sworn statement to the owner listed Excel and the amount due to Excel. After receiving the first four requests, the university paid the general contractor the full amount owed it, including the amount owed to Excel. The general contractor paid Excel. However, the fifth pay request didn’t go as smoothly as the first four requests. The university paid the general contractor, but the general contractor’s bank applied part of the payment received to a debt that it was owed. As a result, Excel was not paid out of the fifth payment that the general contractor received. Excel filed its mechanics lien, and the supreme court concluded that it was entitled to its lien. The supreme court found that the purpose of the sworn statement required by section 5 of the Act was to put an owner on notice of a subcontractor’s claim, and section 27 created a duty upon the owner to pay the claim of subcontractors named in the sworn statement. Thus, the university could not pay the general contractor and rely upon the general contractor to properly disburse the funds to its subcontractors without running the risk of being subject to a lien of a subcontractor who was not paid. Excel’s lien was found validly perfected. The appellate court also examined the holding in Bricks, Inc. v. C&F Developers, Inc., 361 Ill. App. 3d 157 (1 st Dist. 2005). In Bricks a material supplier for a subcontractor was not paid by the subcontractor and asserted a lien for the balance owed. The sworn statement that the general contractor provided to the owner did not list the material supplier and listed the subcontractor as being owed an amount much less than was owed to the material supplier. The material supplier did all that was required of it to perfect its mechanics lien rights. The court in Bricks found that the purpose of the Act is not only to protect the rights of those furnishing materials and labor to a project but also to protect owners from potential claims. The court was forced to rule between a lien claimant who had done all that was required to perfect its lien claim and an owner who had unknowingly been provided with incomplete sworn statements and had relied upon them. The court ruled in favor of the owner and limited the material supplier’s lien to the extent owed the subcontractor – an amount less than was actually due the material supplier. The union relied upon A.Y. McDonald Manufacturing Co. v. State Farm Mutual Automobile Insurance Co.13 and Struebing Construction Co. v. Golub-Lake Shore Place Corp.14 in support of the validity of its lien. However, the court found the facts of both cases to be distinguishable. In A.Y. McDonald, the owner admitted that it had not obtained a sworn statement pursuant to section 5 of the Act. That fact was an important distinction from the facts in Doors Acquisition where the owner had obtained a sworn statement and it showed the lien claimant’s immediate contractors to have been paid in full. In Struebing the lien claimant was not listed on the sworn statement provided to the owner. However, the owner still had notice of the lien claimant’s involvement in the project. Again, this was a distinguishing fact from Doors Acquisition where the owner was not aware of the Union’s role in the project until receiving notice of its lien. Ultimately, the appellate court in Doors Acquisition found the reasoning in Bricks to be persuasive. The court found that the Act seeks to strike a balance between the rights of owners, contractors and subcontractors. The court found that one way an owner’s rights are protected is by allowing owners to rely upon sworn statements provided to them pursuant to section 5 of the Act. Thus, the balance will be struck in favor of an owner who has properly received a sworn statement over an equally deserving subcontractor who has not been paid in full. With the harsh result of Doors Acquisition in mind, we turn to what subcontractors can do to avoid such perils. The solution can be summarized in two words – provide notice. After an owner has received notice of a subcontractor’s involvement in the project, the owner must retain sufficient funds to pay what is due the subcontractor. As stated above, section 24 of the Act allows a subcontractor to provide notice to the owner of their claim any time after making the contract with the general contractor. While section 24 allows notice to be sent up to 90 days after the completion of the work, it can also be sent much sooner. In practice, most subcontractors don’t even think about providing notice of their lien until the project is complete. By waiting until the limits of time allowed by section 24 nears, intervening factors such as those present in Doors Acquisition can be fatal to a subcontractor’s claim. 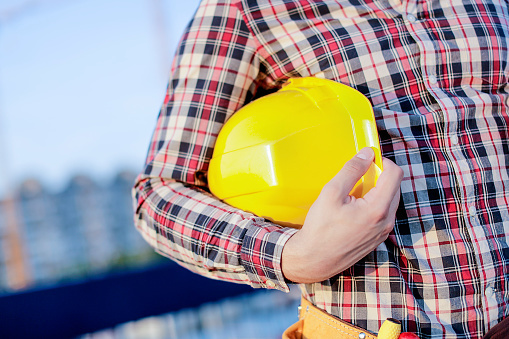 The far safer practice is for subcontractors to provide owners with notice of their involvement and role in the project early on in the construction project. 1 770 ILCS 60/1 et seq. 3 J&K Cement Const., Inc. v. Montalbano Builders, Inc., 119 Ill. App. 3d 663, 678 (2d Dist. 1983). 6 770 ILCS 60/7; Tefco Const. Co. v. Continental Comm. Bank & Trust Co., 357 Ill. App. 3d 714, 719 (1 st Dist.2005). 11 Petroline Co. v. Advanced Environmental Contractors, Inc., 305 Ill. App. 3d 234, 238 (1 st Dist. 1999).